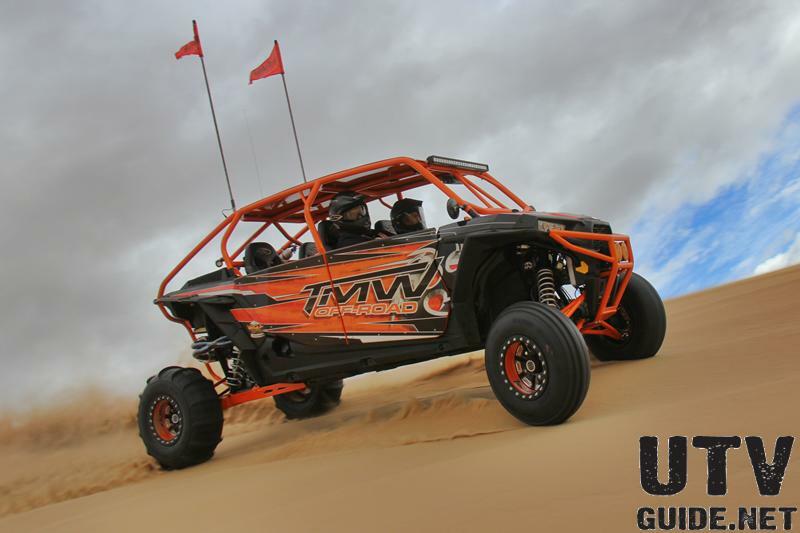 Now in its third consecutive year, the UTV Industry Ride is a party you want to attend. 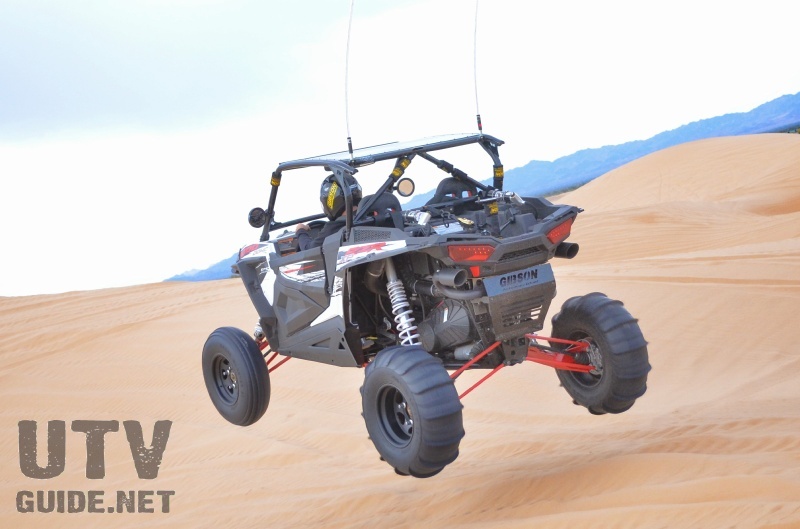 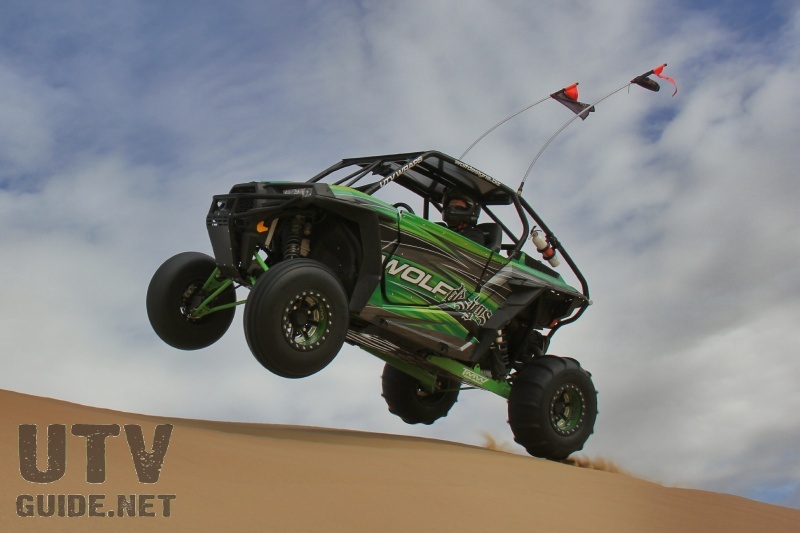 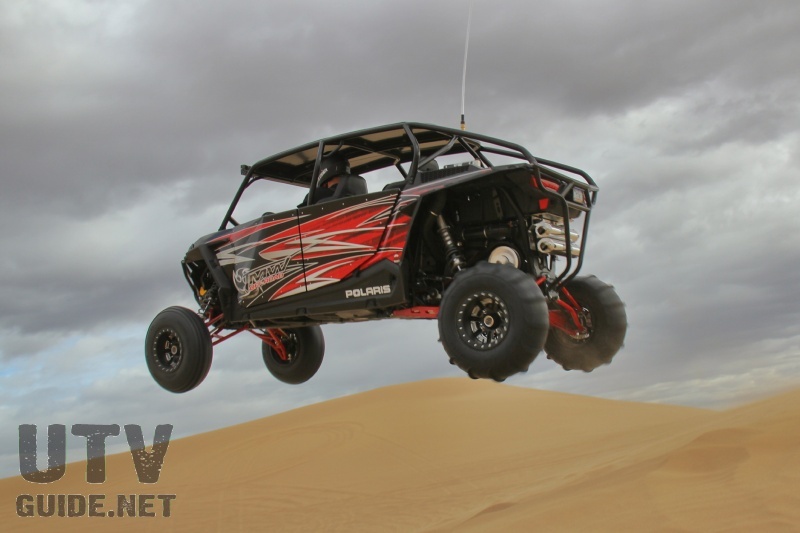 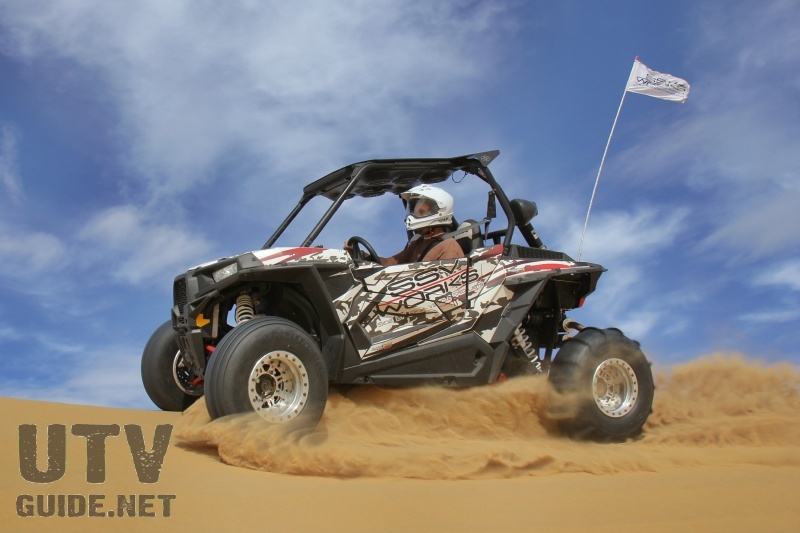 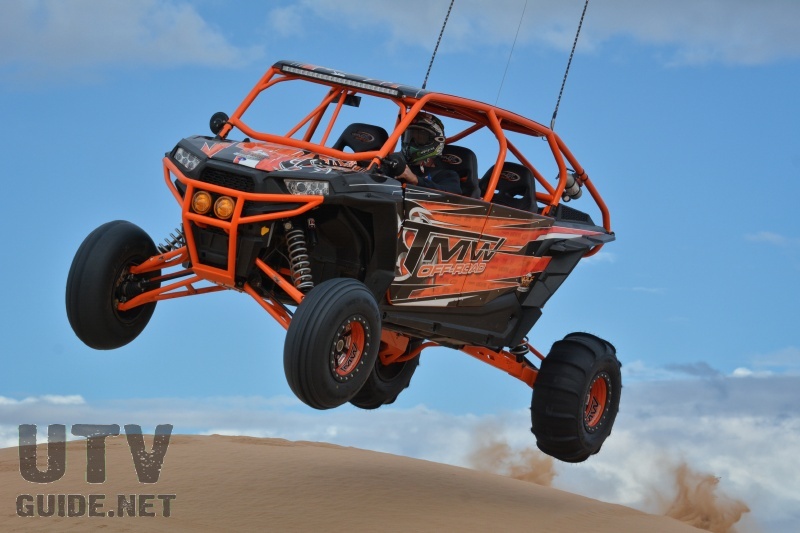 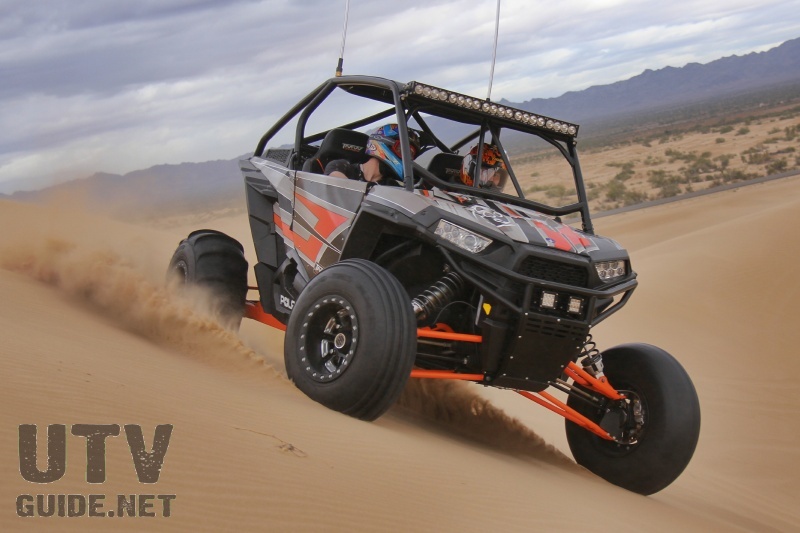 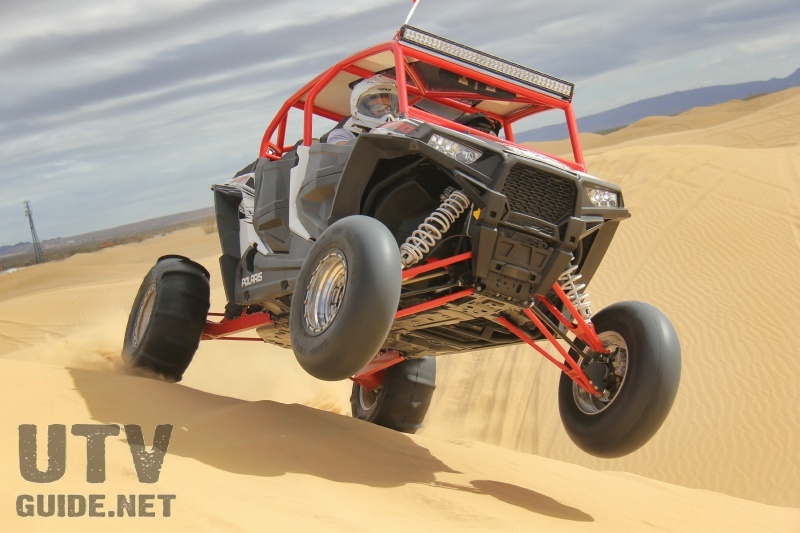 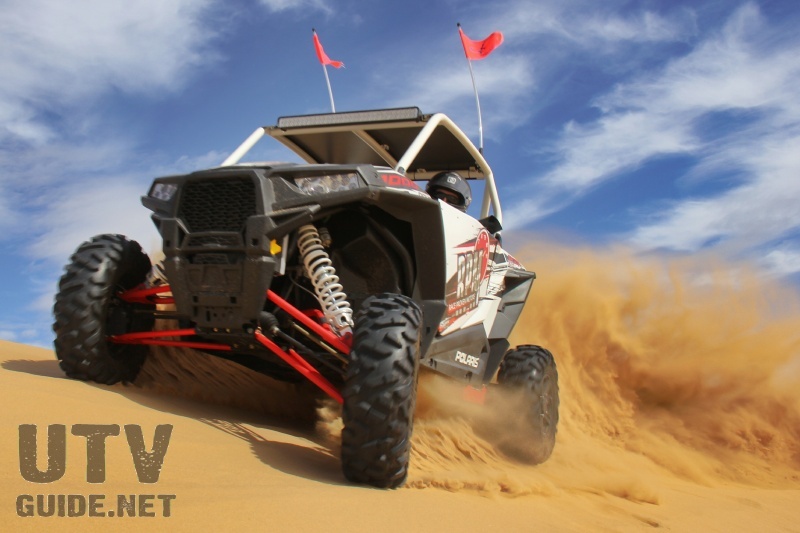 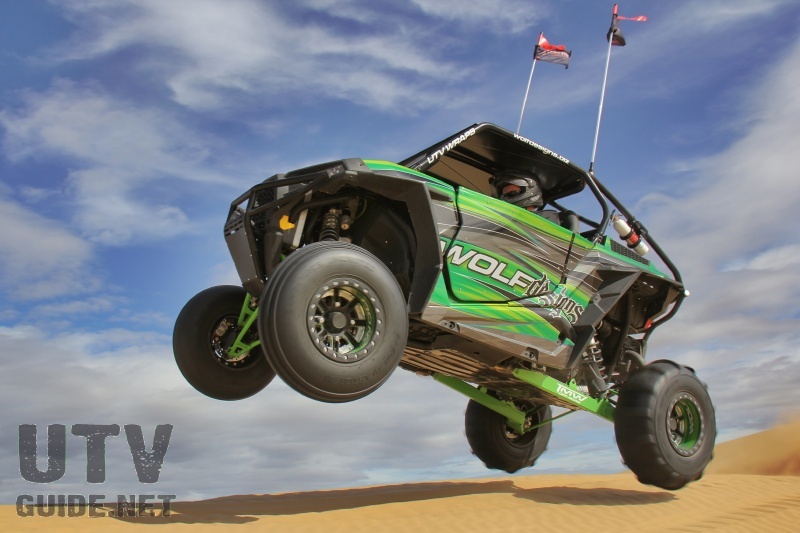 A few years back, Jon Crowley of UTVGuide.net and Dave Kuskie of Fullerton Sand Sports put together a group ride to network with industry vets and newcomers, and dubbed it the UTV Industry Ride. 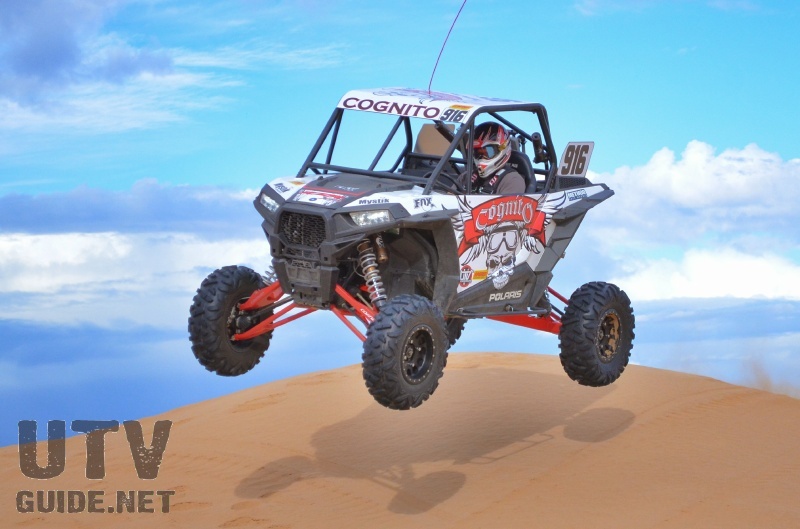 Just a few short years later, the ride has grown to a small convention, with over 30 sponsors paying to support the sport. 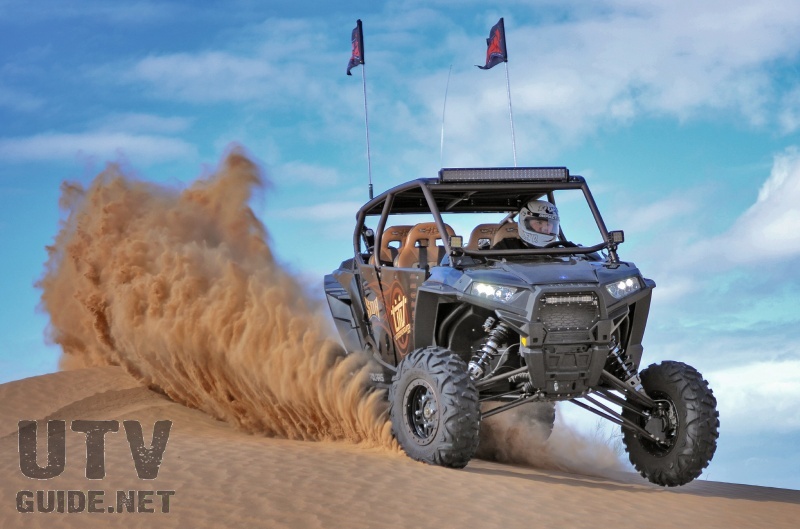 The UTV Industry Ride is a chance for parts manufacturers, custom shops, and motor builders to put together their hottest machines to unveil to other industry professionals. 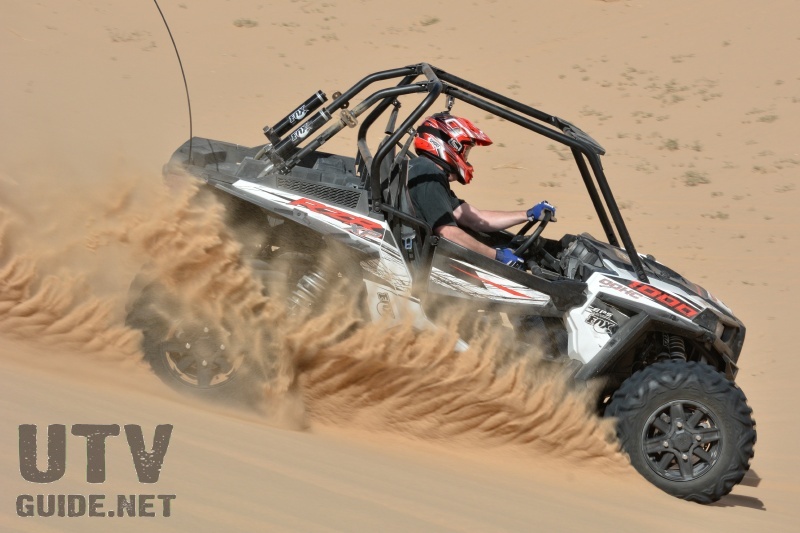 While it may seem rather introverted and private, many connections and partnerships have formed here, allowing for newer, even more spectacular products to be released to the public. 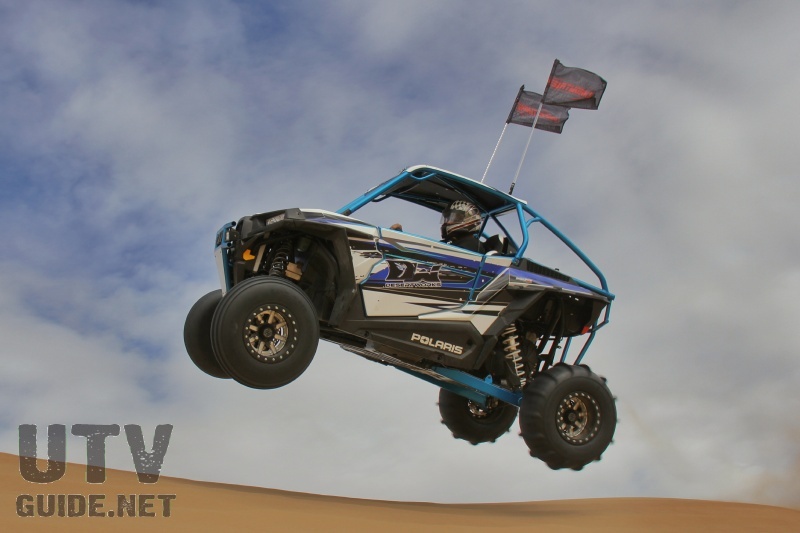 Every year, multiple photographers are on hand to capture the show machines at their best. 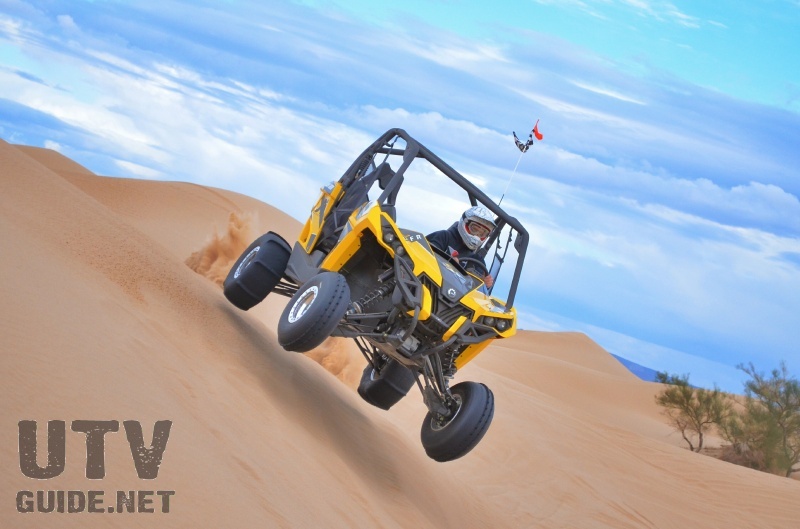 Multiple photo shoots happen both on group rides, or on separate location-specific shoots. 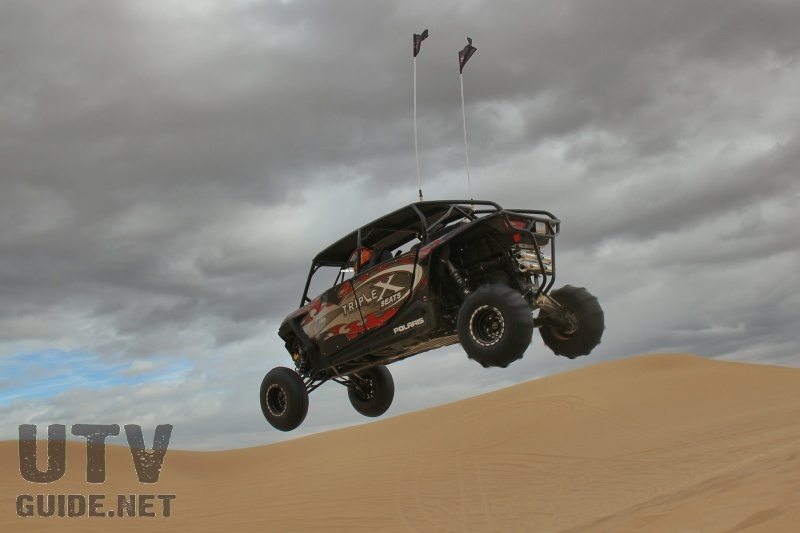 This year, Neal Rideout Photography and In2Dirt Medias Cody Hooper were on hand to capture some of the hottest UTVs around. 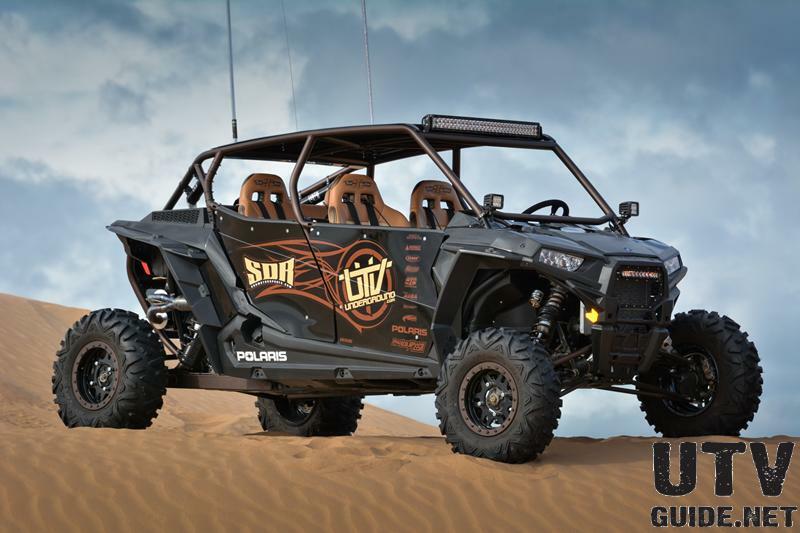 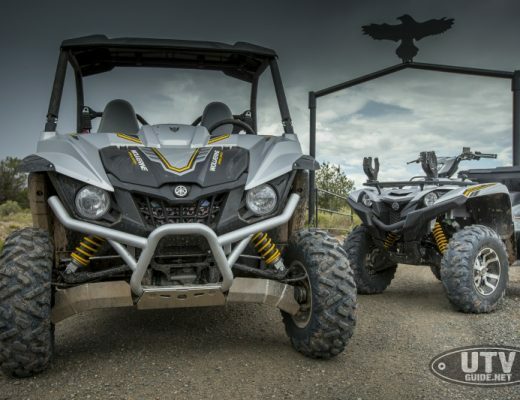 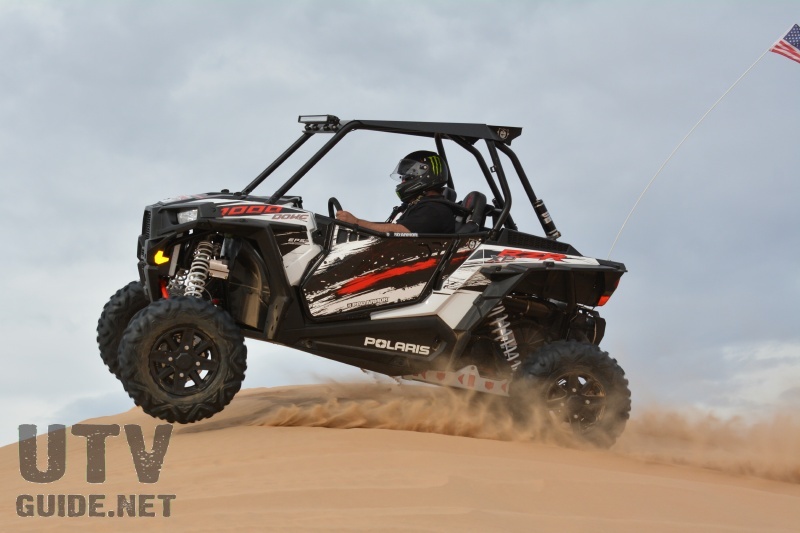 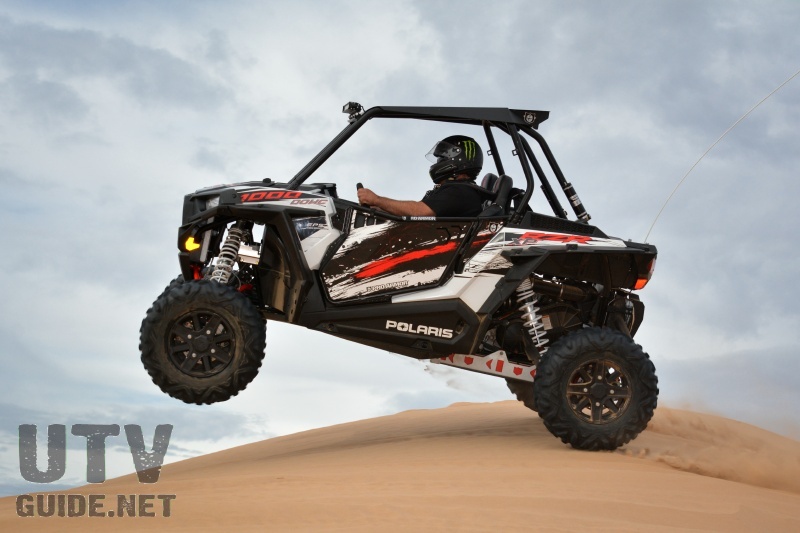 The Polaris RZR seemed to be on everyones hot list, as about 98% of the machines that showed up in custom trim were brand-new XP1000s. 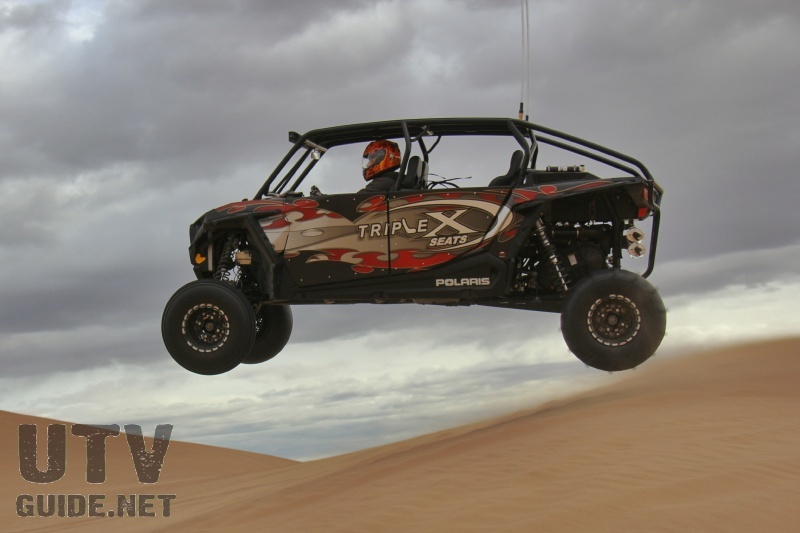 A handful of XP900s, Wildcats, and Mavericks also appeared. 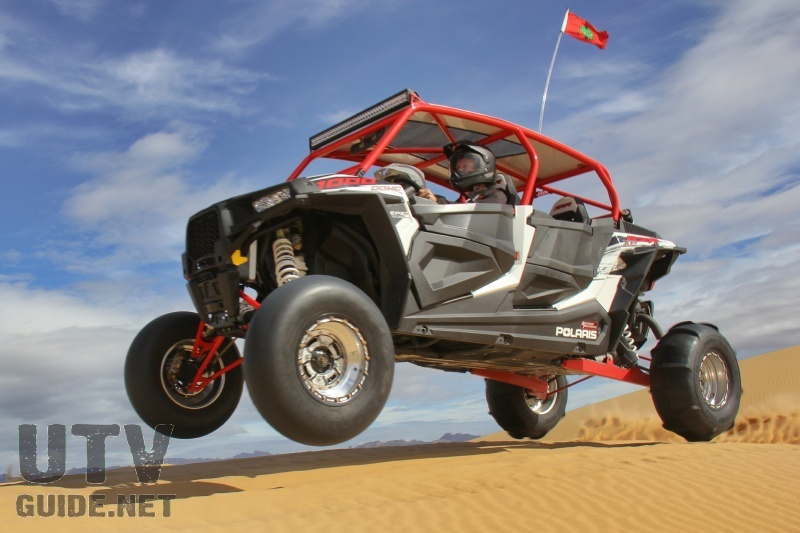 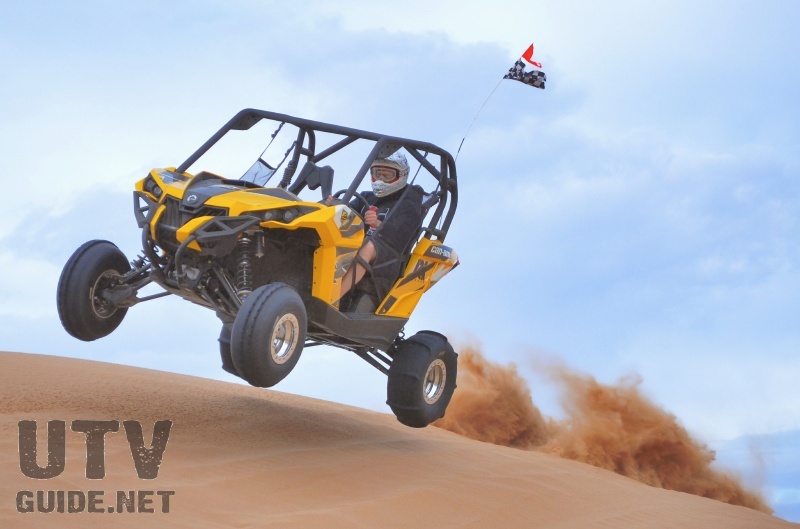 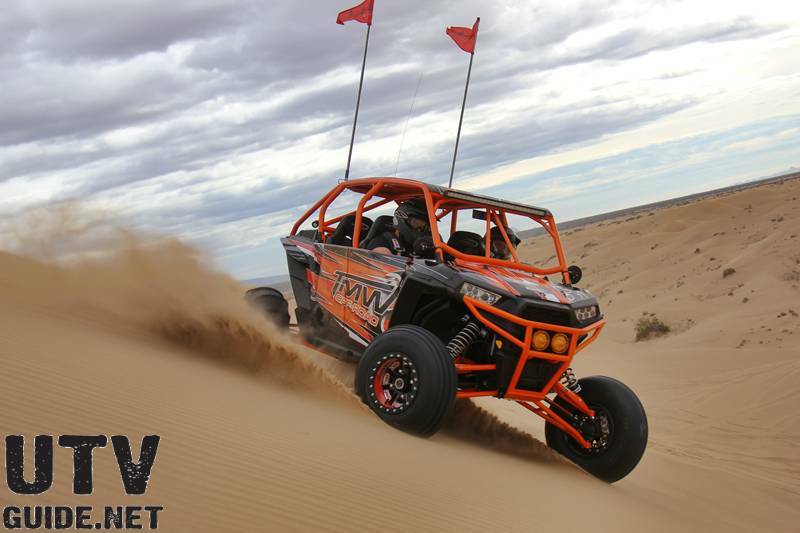 The event was held at the Imperial Sand Dunes (Glamis) of Southern California fame, with the majority of the festivities taking place at the Glamis Beach Store. 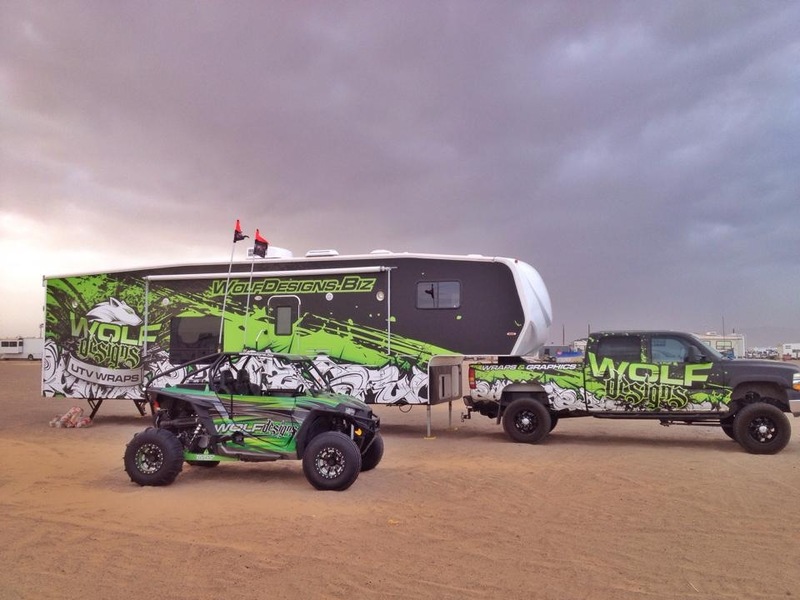 Camped near Vendor Row, all of the custom rigs that showed up to haul the UTVs were a sight to behold in themselves. 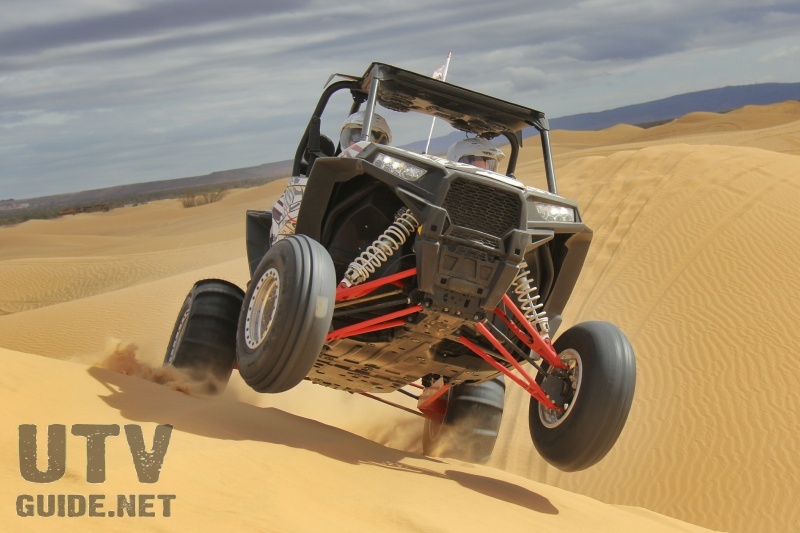 All of the participants gathered up for wheel-to-wheel group rides, taking turns roosting each other and mustering up courage to launch their machines further than the previous driver. 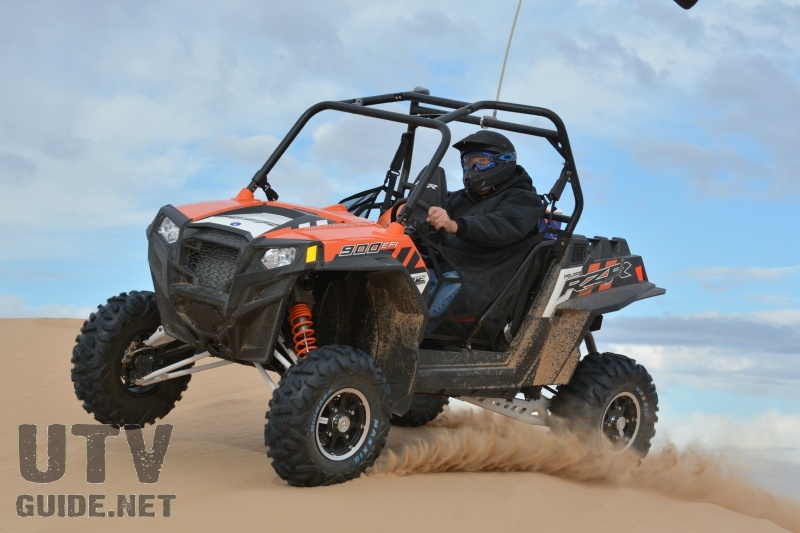 It was all in great fun, with only a couple broken parts and no injuries to speak of. 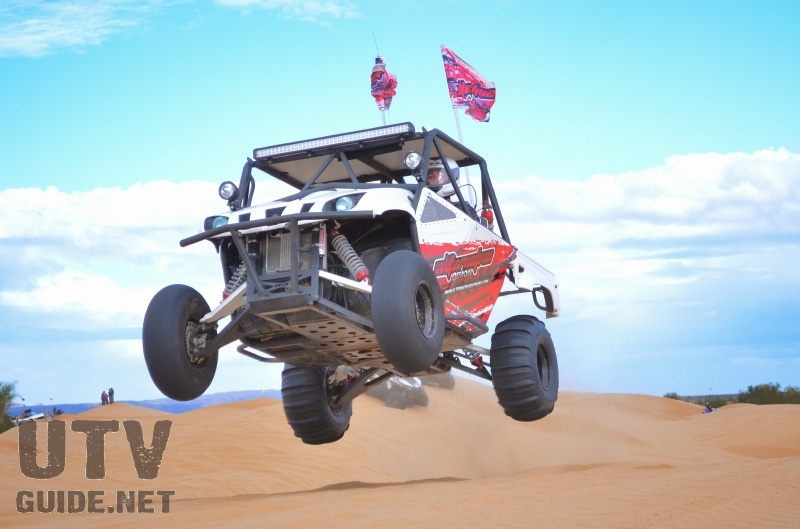 If you work in the UTV Industry, this is a chance to showcase your products or services to the people who can help get you into the publics eyes. 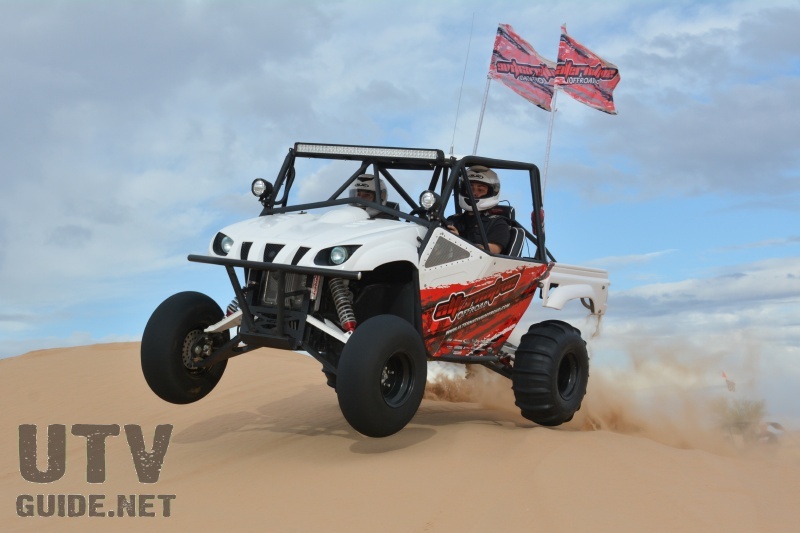 Dave Kuskie was slinging sand with his huge-power turbo XP900. 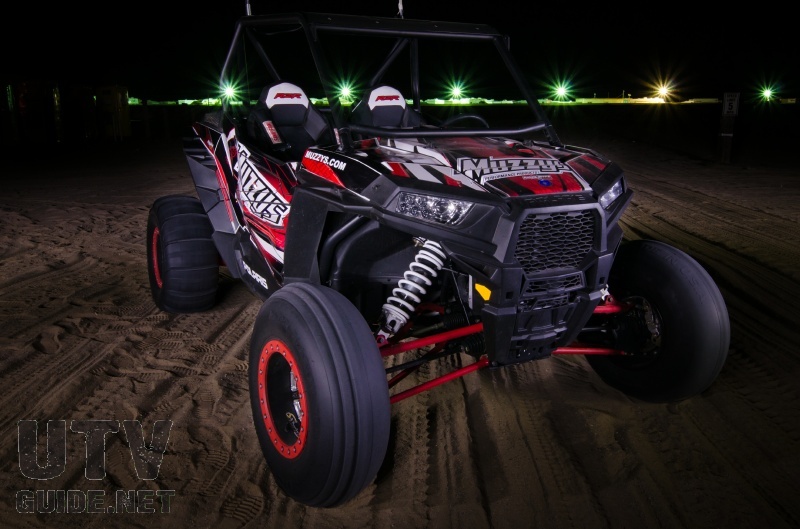 Sparks Racing and Muzzys Performance brought out massive big-bore RZR XPs that had more power than some turbo cars we have driven. 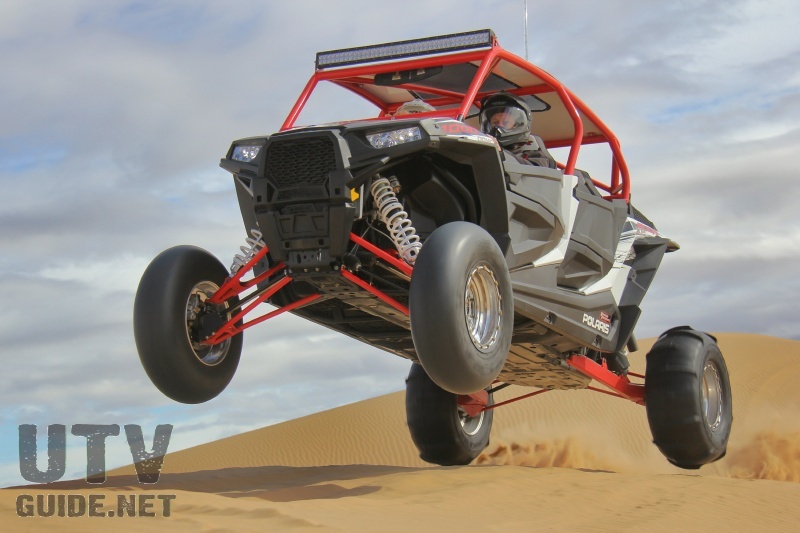 Gibson Exhausts Shawn Gibson was launching a relatively stock RZR XP1K to insane lengths. 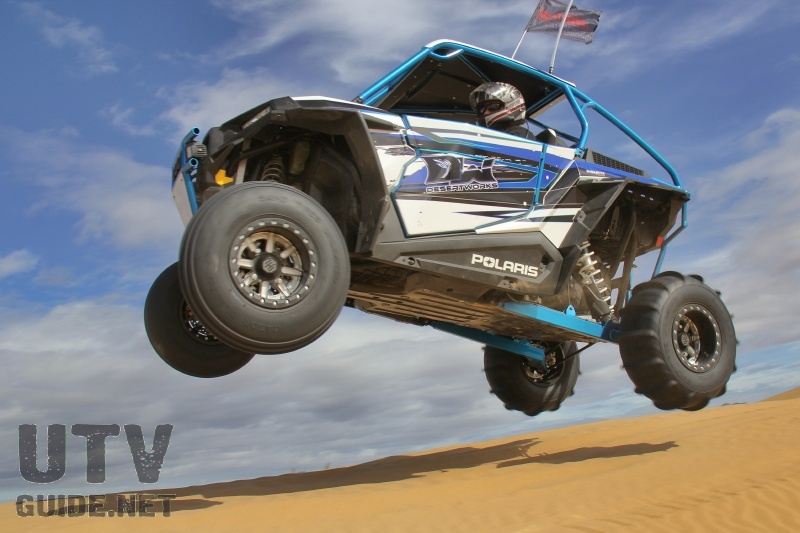 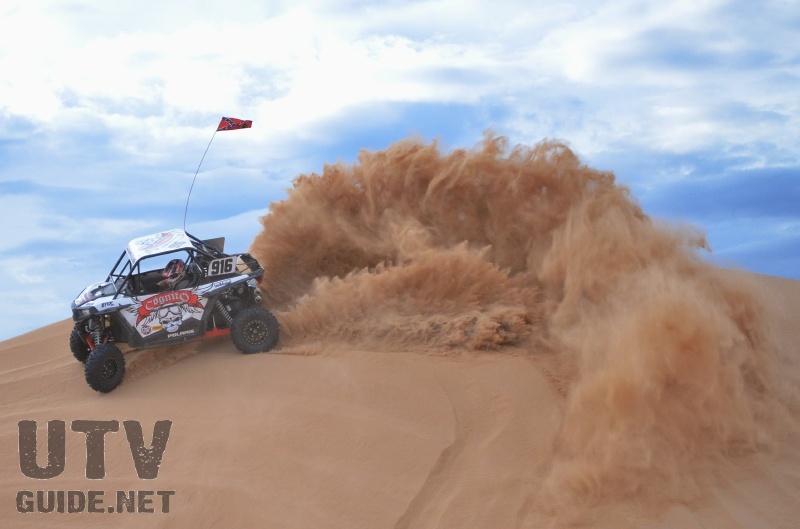 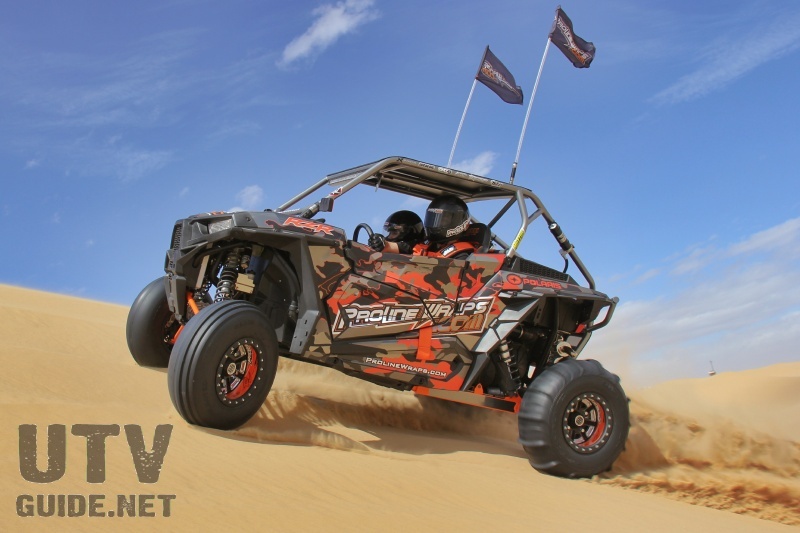 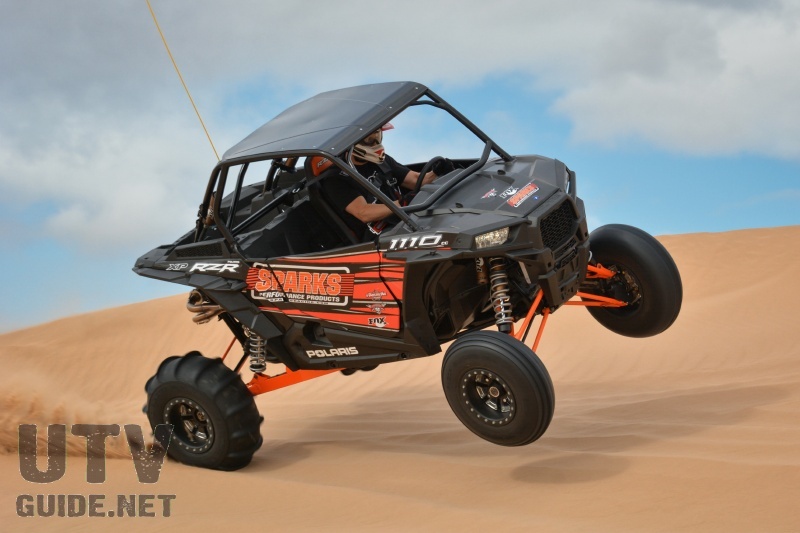 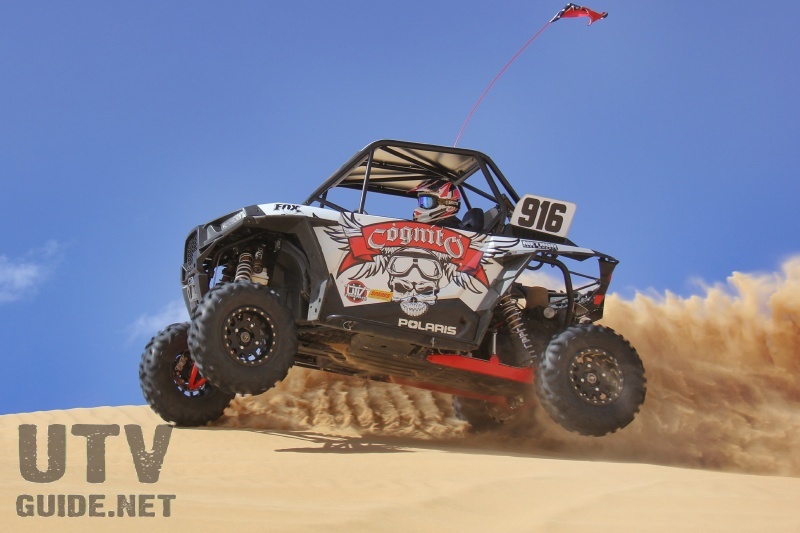 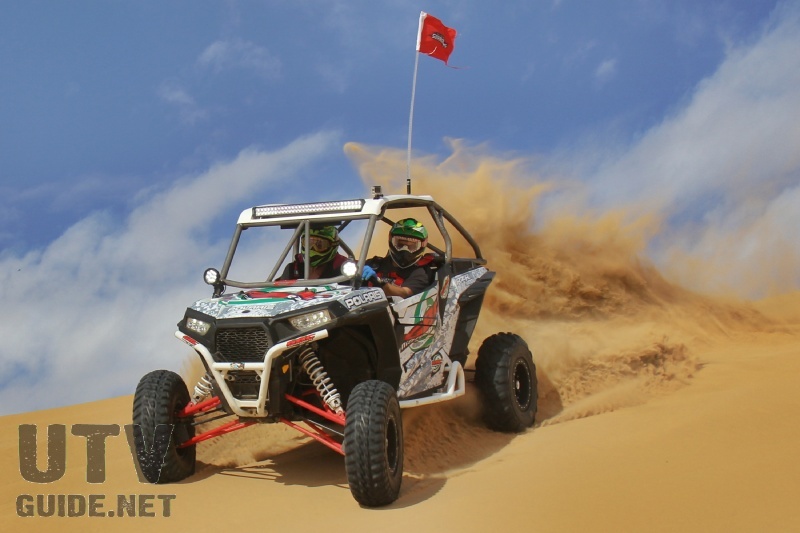 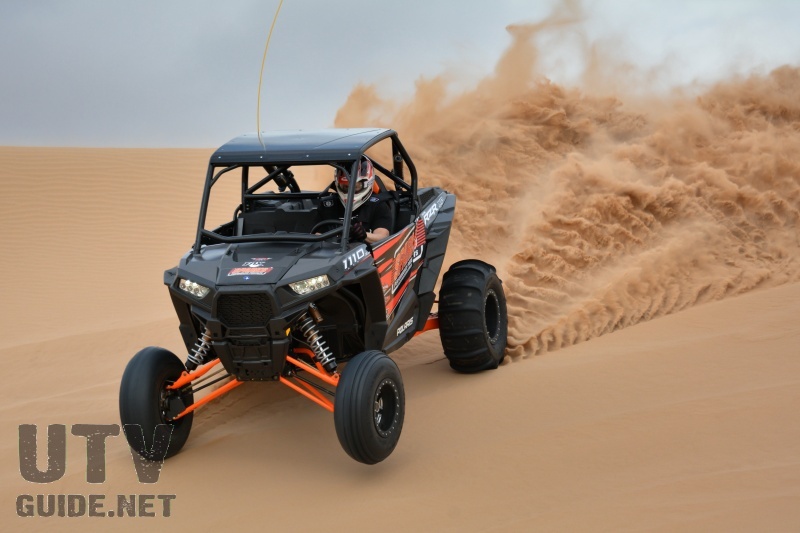 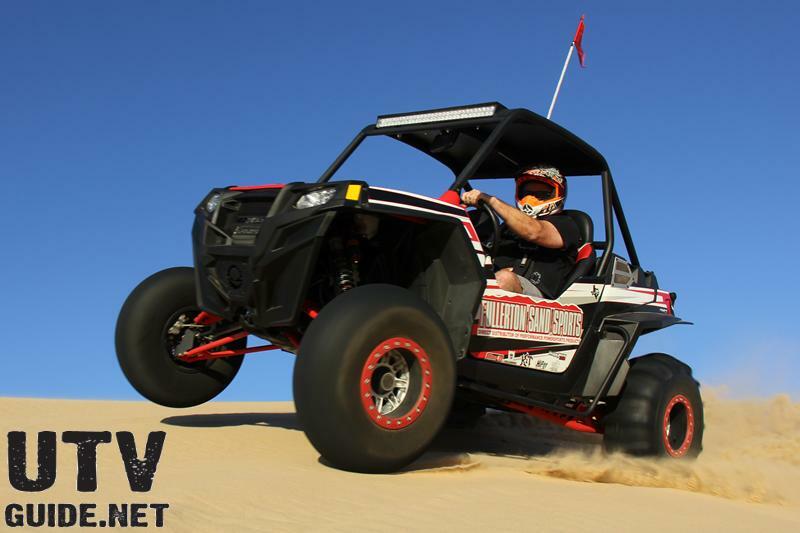 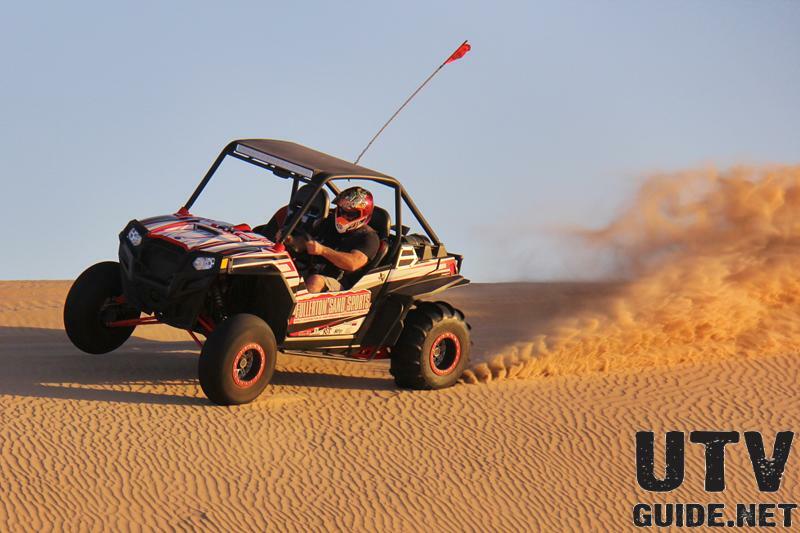 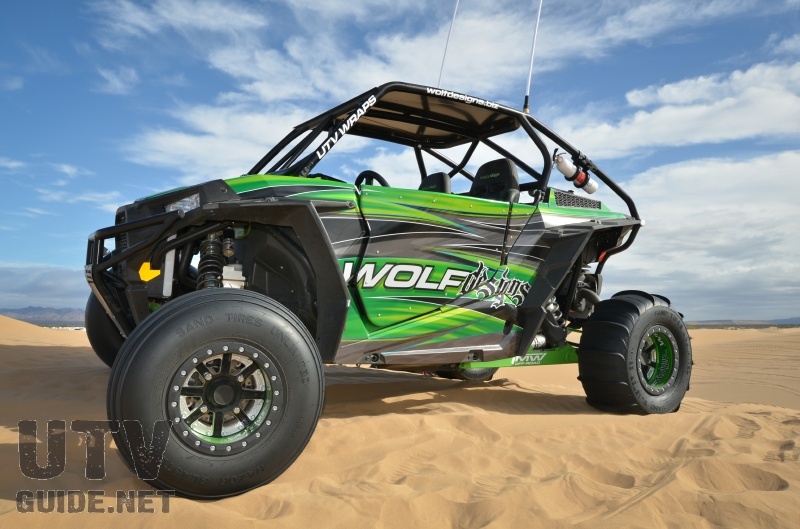 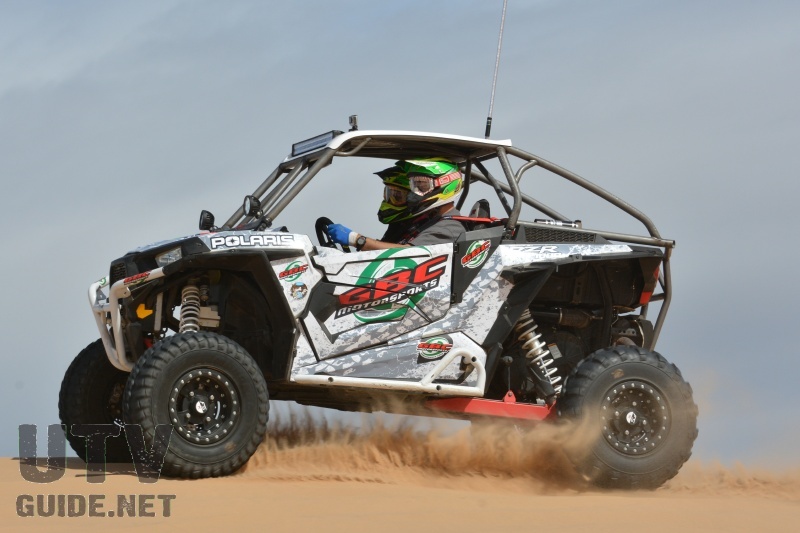 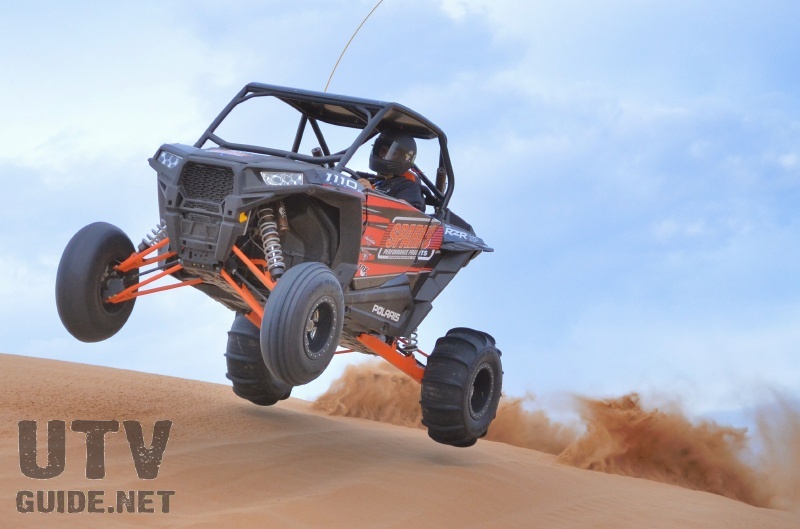 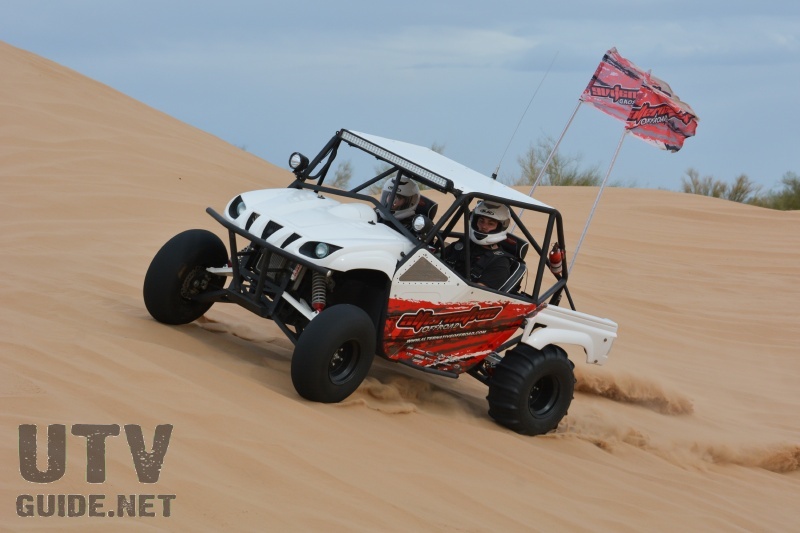 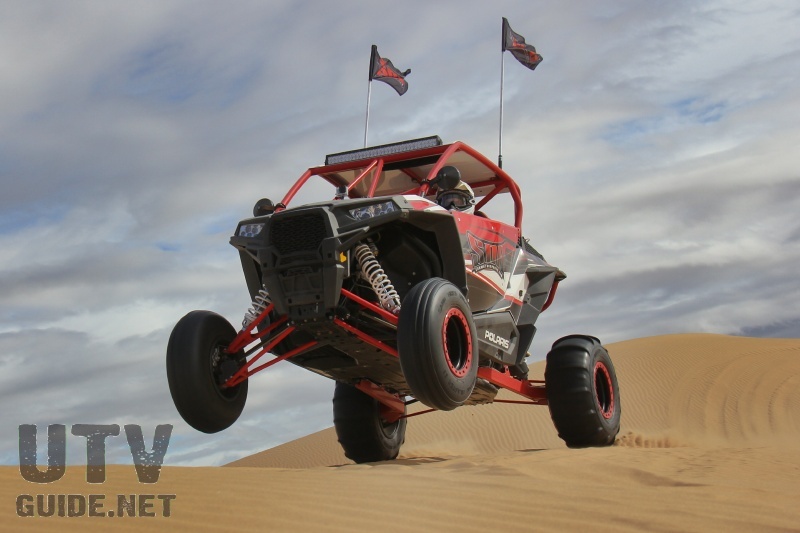 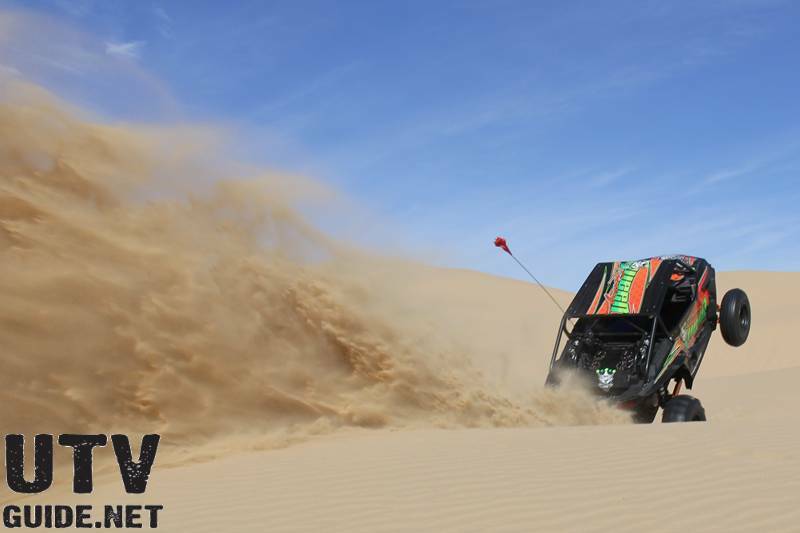 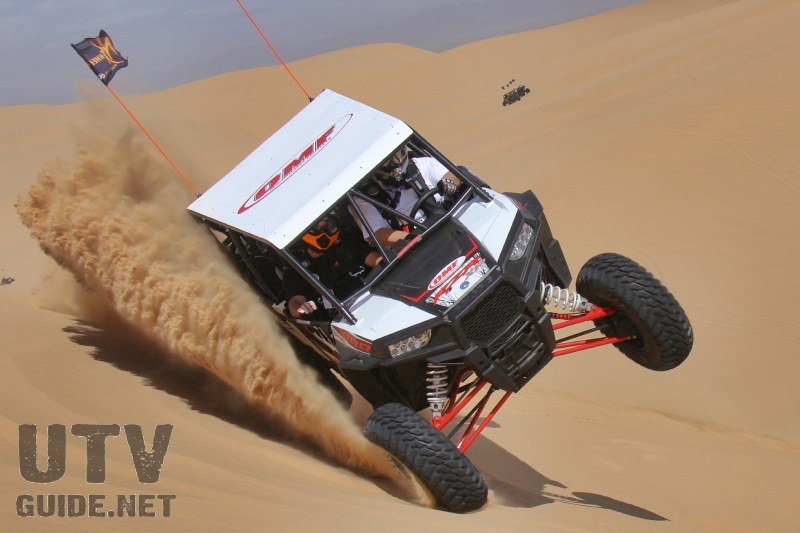 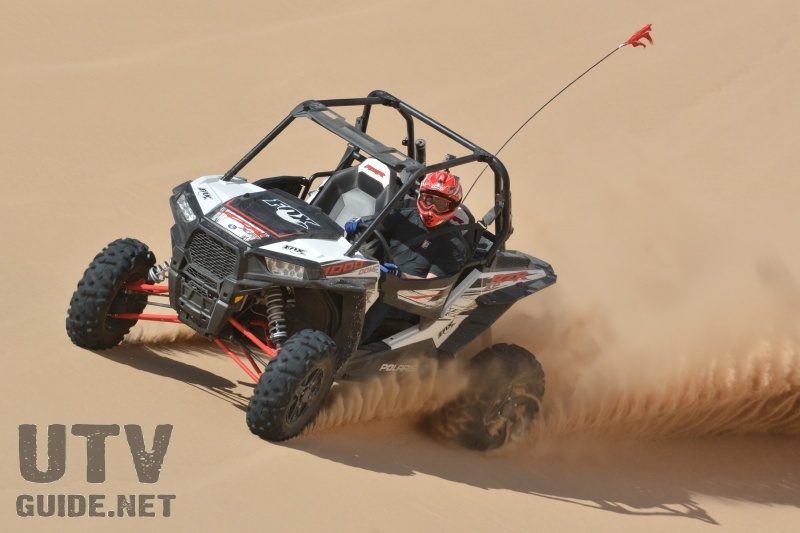 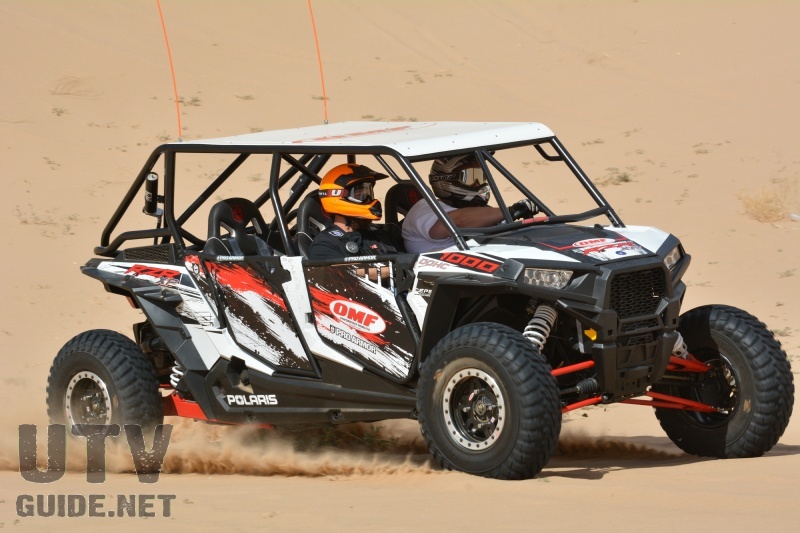 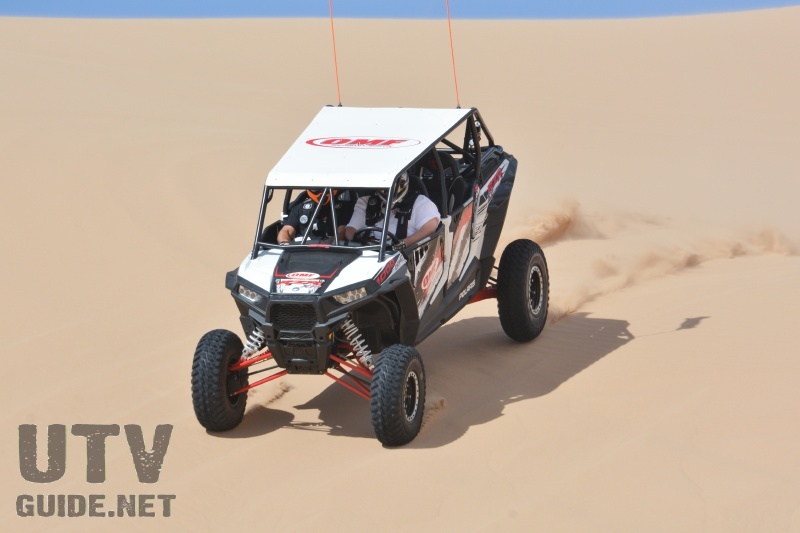 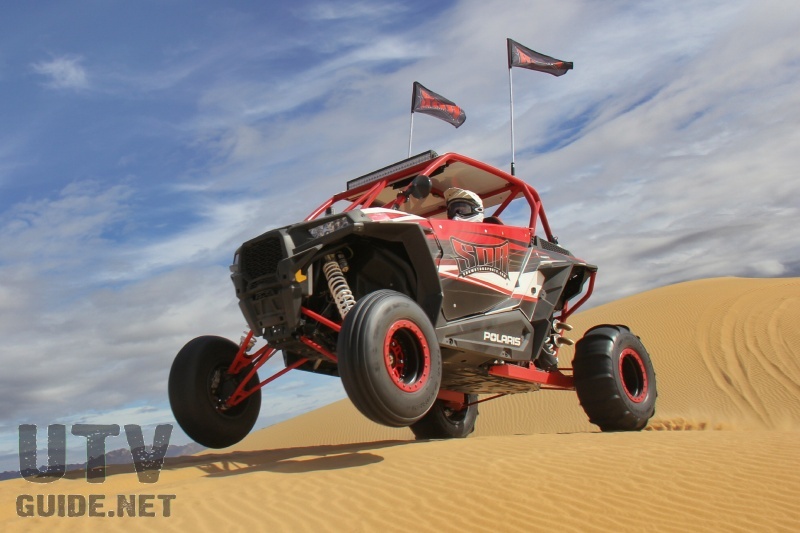 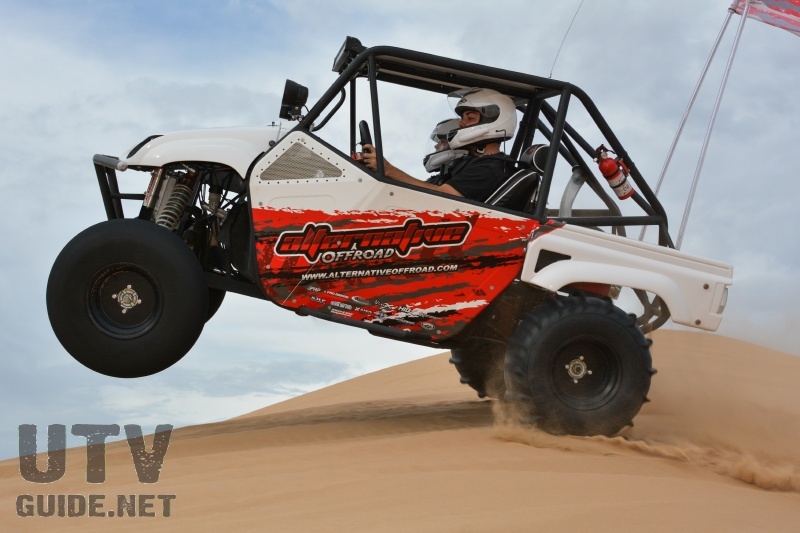 Cognito Motorsports brought out their XP1000 Race Car, and were flogging the dunes in style. 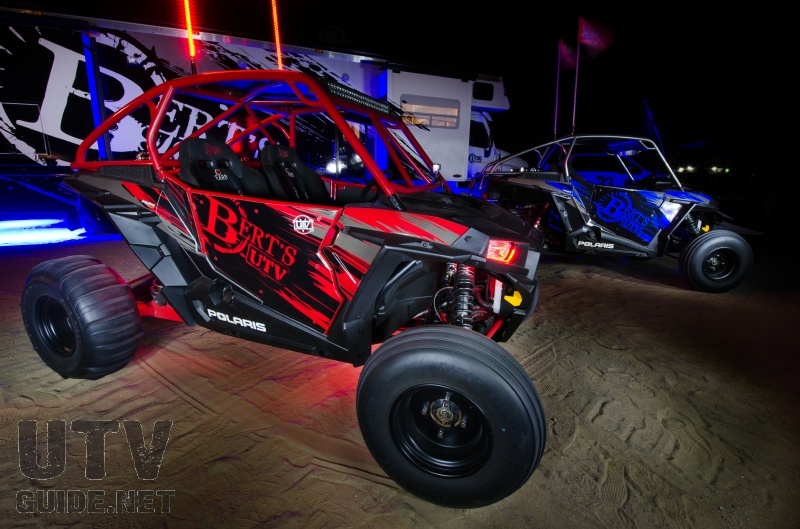 SDR Motorsports brought out their shop car Betsy, an HCR Racing long-travel equipped, turbocharged, fully customized RZR 4 that definitely caught some jealous looks in the pits. 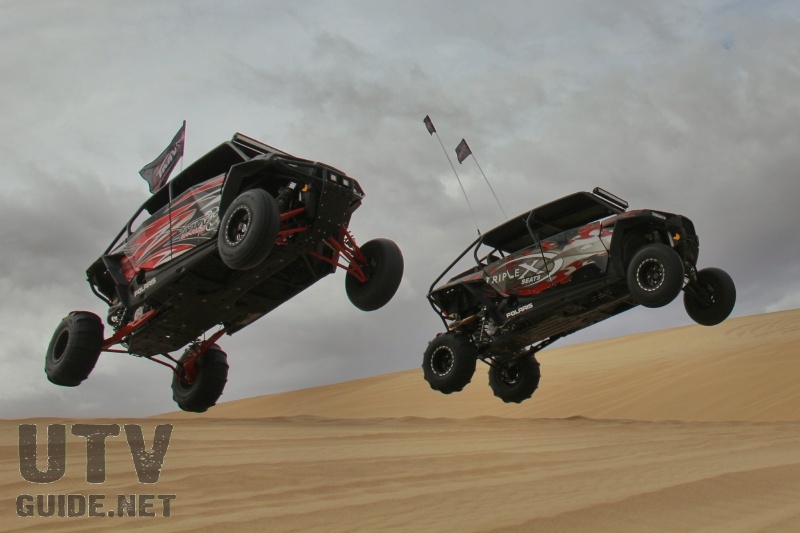 Pro Armor and OMF had a couple cars decked out in all their goodies. 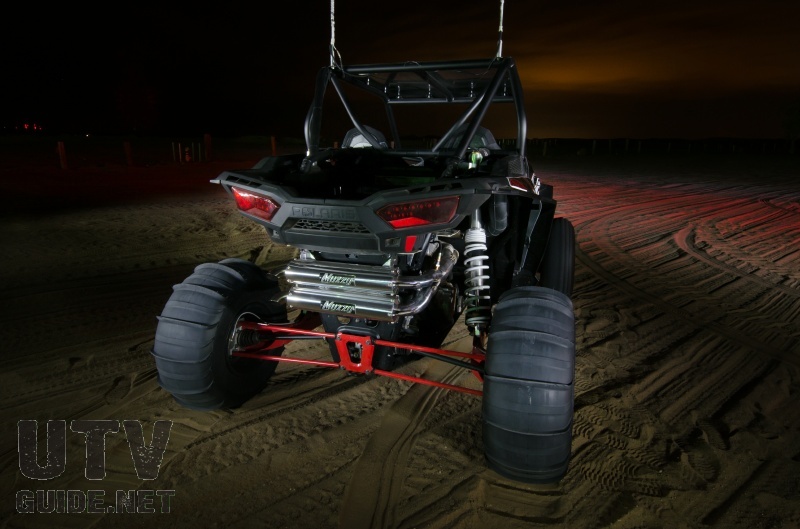 Queen Racing had Z1-powered 300-500 horsepower RZRs pulling wheelies across the flats. 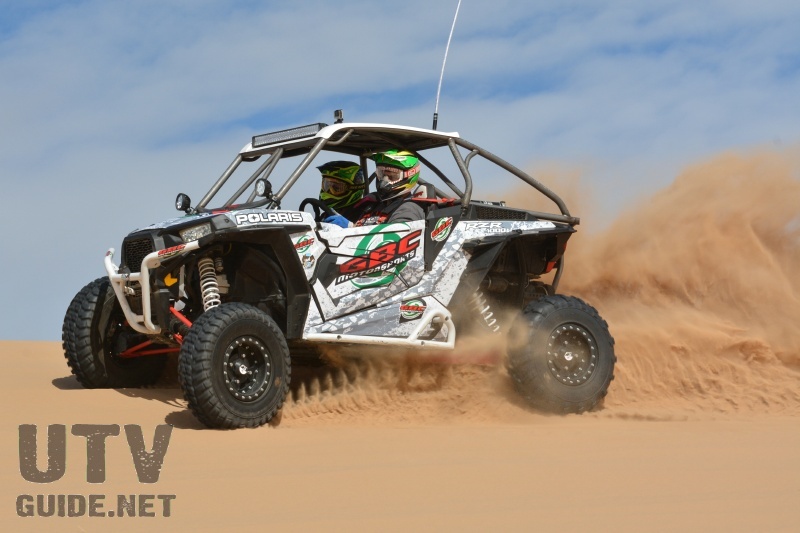 JRi Shocks, FOX and Walker Evans were on hand tuning shock setups. 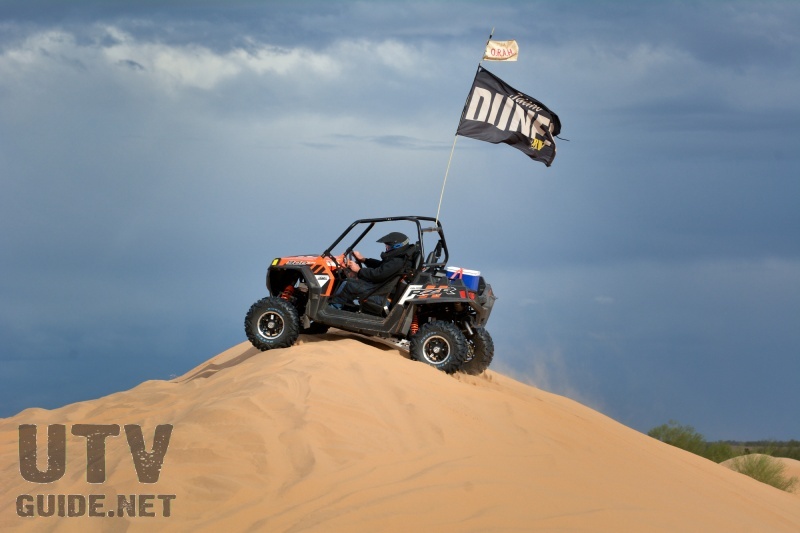 All in all, it was a very busy, and insanely fun place to spend a few days. 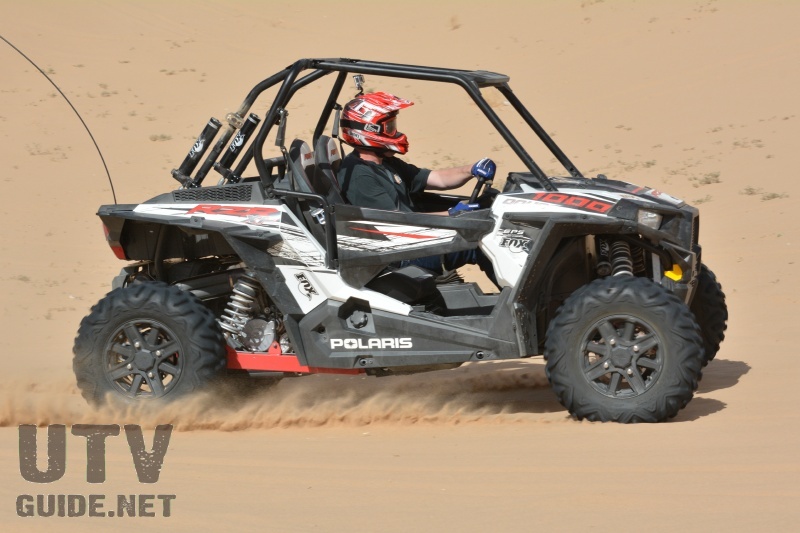 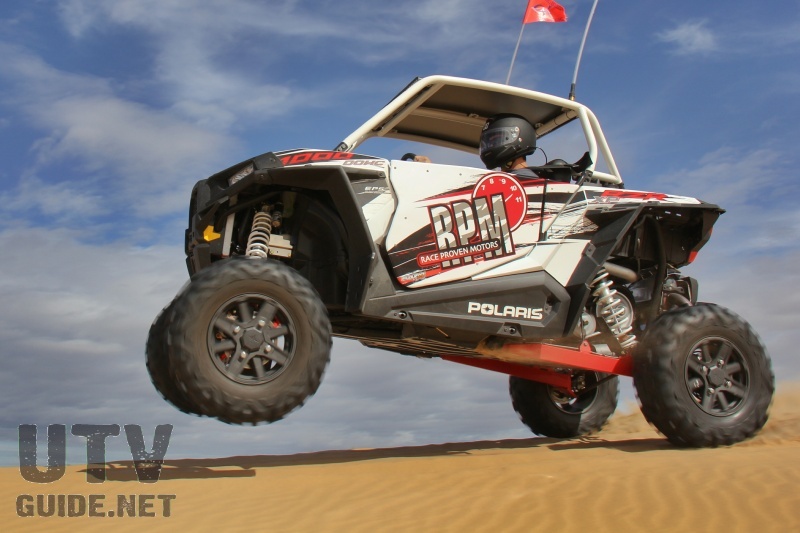 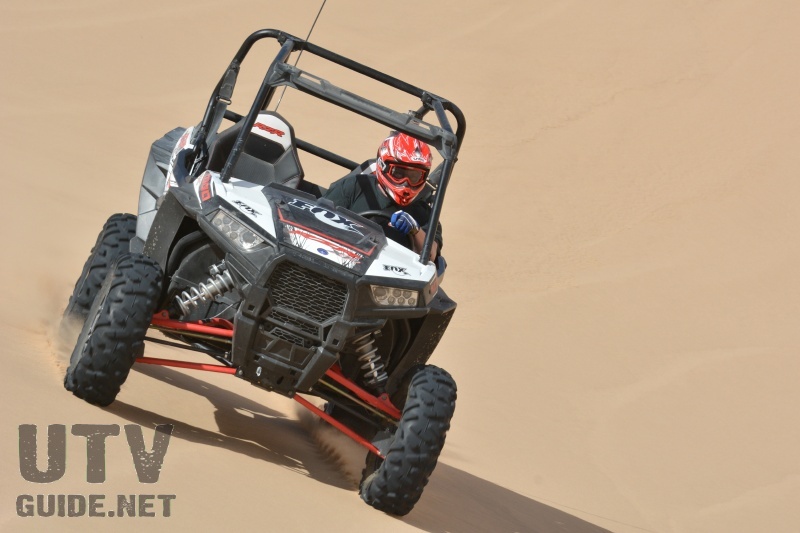 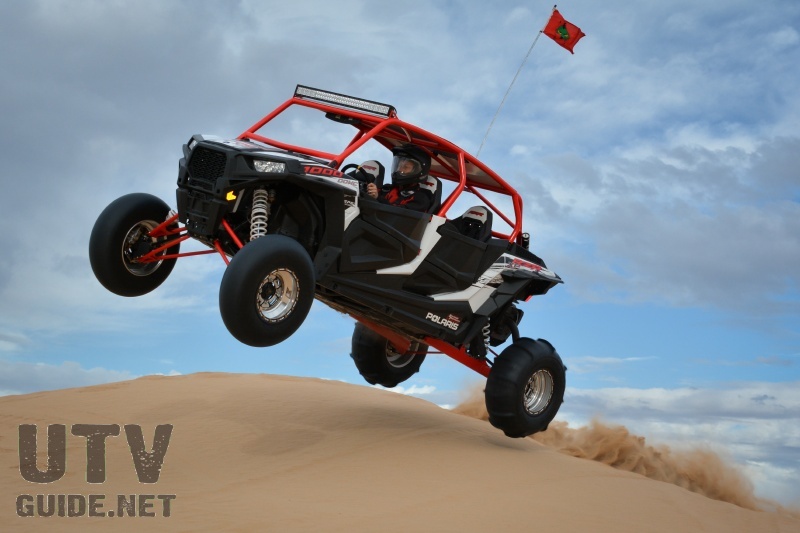 The final day of the UTV Industry Ride culminated with a huge group photoshoot, a group ride, and then dinner in the sand at Daddys Famous Foods (AKA Tillies) near the Glamis Beach Store. 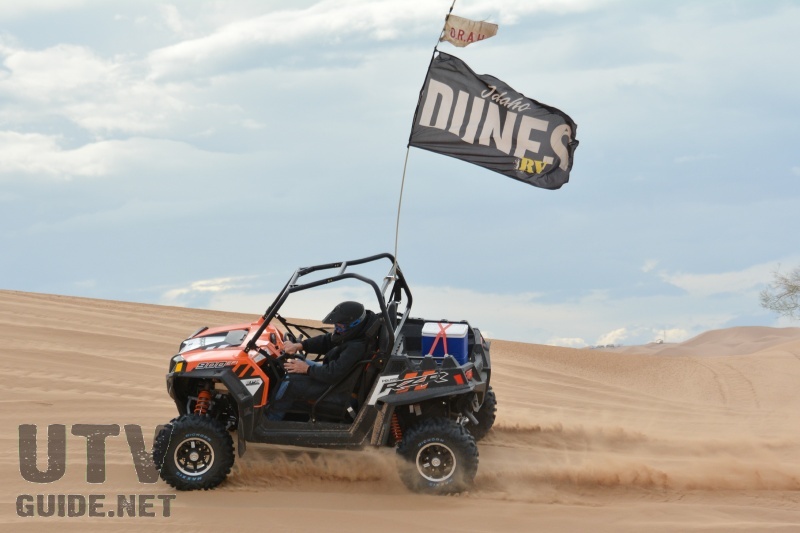 Apart from seeing photo collections online at UTVGuide.net, and their Facebook pages, you can search Instagram or Facebook with the hashtag #UTVIndustryRide to see behind-the-scenes photos from the participants. 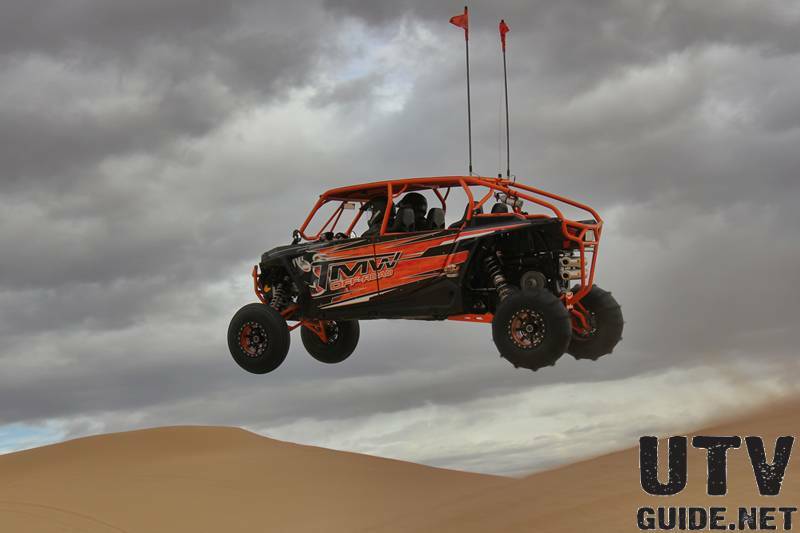 The 2015 UTV Industry Ride is already in the planning stages (see 4th Annual UTV Industry Ride), with Jon Crowley and Dave Kuskie working hard to prepare an even bigger, more extravagant event!